Accomodation : The rooms at the hotel are all well appointed and come with a wide range of facilities. 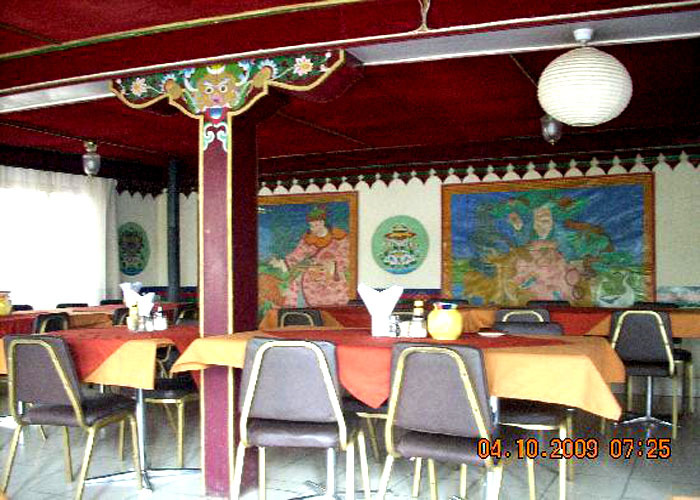 The rooms sport a combo of traditional Tibetan style and modern décor. Amenities : * Very snug heated & centrally - heated rooms. * The hotel is two kilometers away from the Airport and one and a half kilometer from town. 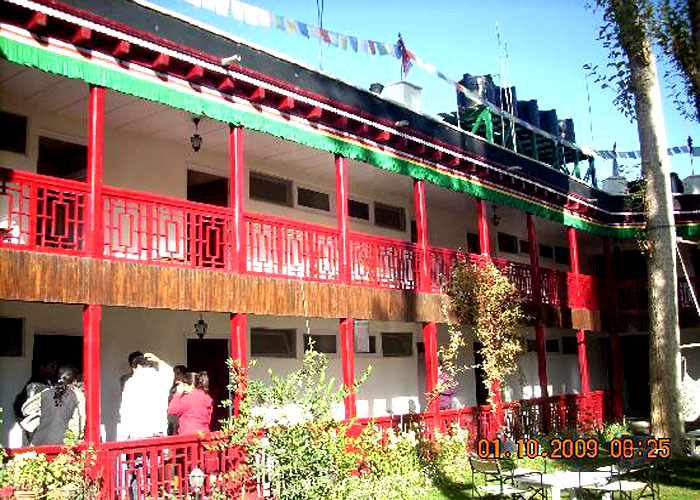 Dining : The restaurant at the hotel serves Indian, Chinese, Tibetan, European, Indian and the local Ladakhi cuisine. Banquet & Conference : The two conferencing halls at the Hotel are good venues for hosting corporate events. 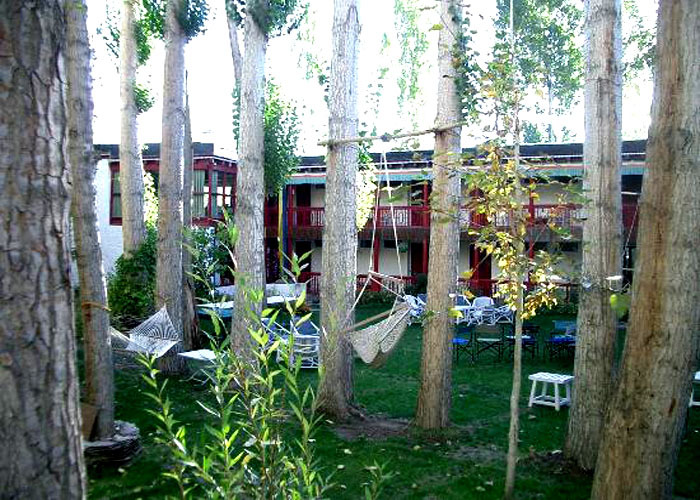 The Hotel's well manicured lawn can be used for hosting informal gatherings, marriage functions and so on. International dialing, fax, etc. are also available. Location : 2km away from the main bazaar. The Hotel Shamba La is in one of those undisturbed purlieu's about 2km from the main bazaar (market) and 3km from the Airport and bout 2km from the bus stand. 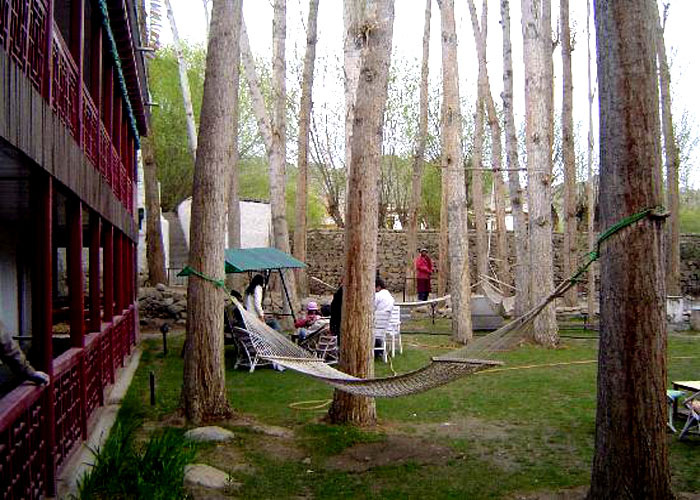 The Hotel Shamba La Leh is one of the best A Class Hotels in Leh and is tucked away from the bustle of the city. 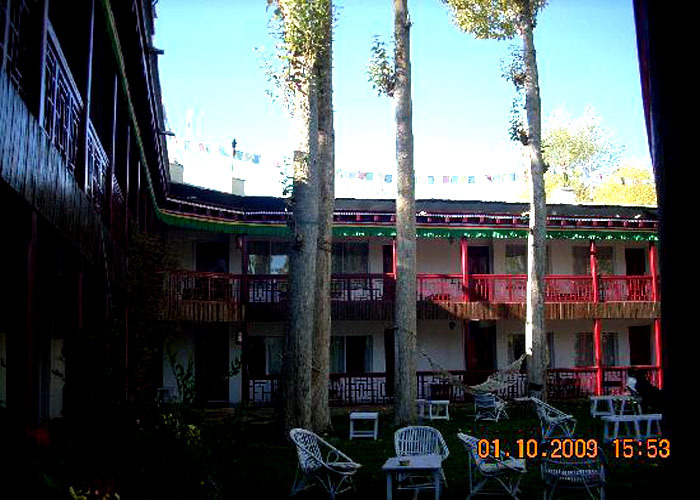 Address : Leh - 194 101, Ladakh (India).